I think our inter-faith leaders -- every priest, rabbi, pundit, imam and granthi -- would do this country a great service if they enforce a message of peace and harmony against and speak to their captive audience against the symptoms of sadistic behaviour -- manipulation, the thrill of violence, power, and control that comes from inflicting pain on other. 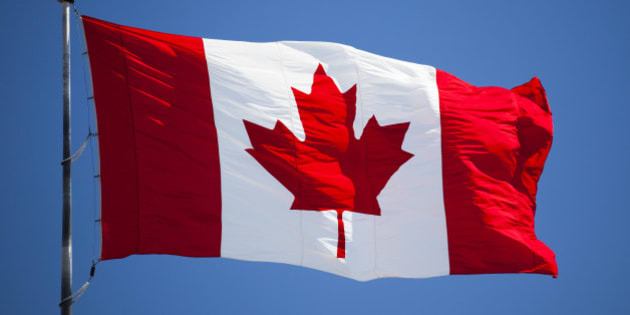 Maple leaf flag flying in the wind. I understand life. It is an ongoing struggle for a safe and peaceful survival. I have lived through the 1947 partition of India, the 1962 China invasion of India, and the 1965 Pakistan-India war. When I moved to England, I watched the then-Soviet Union, and its allies Bulgaria, Hungary, East Germany, and Poland move their tanks through the streets of Czechoslovakia in 1968. When I moved to the United States, I awoke every morning to and went to bed every night listening to and watching news reports of how many soldiers were killed on both sides of the Vietnam War. In 1970, when I moved to Canada, the "True North, Strong and Free," I found the weather freezing, but its people warm and friendly enough to pitch my tent and raise a family. It did not take more than five weeks to hear, on Oct. 10, 1970, that the FLQ, a Quebec-based separatist and Marxist Leninist paramilitary group had kidnapped British diplomat James Cross and Quebec Minister of Labour Pierre Laporte. A week later, Mr. Laporte's dead body was found abandoned in the trunk of a car in Montreal. Since then, more than three dozen acts and attempts of terrorism against the citizens and property of this multi-ethnic and multi-faith nation have been perpetrated. The most heinous one was hatched by certain South Asian Khalistani separatists right here in the living rooms and woods of B.C.They bypassed security and placed a bomb on Air India Flight 182, blowing it up and annihilating its 329 passengers in mid-air. The June 1985 attack remains the biggest mass murder in the history of Canada. Following this tragedy, in August 1988, they shot to kill the editor of the Indo-Canadian Times Tara Singh Hayer for his extensive and critical speeches and editorials against the violent separatists. When they did not succeed in silencing him the first time, they tried again, and tragically succeeded, on Nov. 18, 1998. On Sept. 11, 2001, 19 Islamists destroyed the World Trade Centre towers and seriously damaged the US Defence headquarters, the Pentagon. It was an Al Qaida orchestrated plot. It killed more than 2,977 individuals inside the towers, 125 Pentagon employees, 246 passengers, who were on board the two planes that the terrorists has used as missiles, and 292 people down on the street. Ninety countries lost their citizens in this attack. On July 1, 2013, on Canada Day at the British Columbia legislative buildings, two homegrown terrorists and converts to Islam, John Stewart Nuttall 38, and Amanda Korody 29, allegedly concocted a plot of death-by-pressure-cookers. Luckily, the CSIS and RCMP were able to foil it in a timely fashion. Last fall, 25-year-old Martin "Ahmad" Rouleau, a newly converted jihadi, ran over two army officers killing Warrant Officer Patrice Vincent and wounding a colleague. The next day, a gunman named Michael Zehaf-Bibeau assassinated 24-year-old Cpl. Nathan Cirillo, while he stood guard over the Tomb of the Unknown Soldier in Ottawa. Zehaf-Bibeau then rushed across Wellington Street to the Parliament Building with the intention of killing the Members of Parliament holding weekly caucus meetings. The incident reminded me of Dec. 13, 2001 attack on the Indian Parliament in New Delhi. The perpetrators were Lashkar-e-Taiba and Jaish-e-Mohammed terrorists, allegedly shipped from Pakistan. I have always felt democracy to be the best form of governance, but also the most expensive; financially, intellectually and spiritually. The United States suffered a loss of approximately $2.5 billion as a result of the 9/11 tragedy. Given the indiscriminate slaughter of innocent people around the world, my conscience feels absolutely free from any moral or legal restraints in supporting the proposed Bill C-51. It is timely, measured and a needed prescription to control the fast spreading virus of violence on the soil of Canada. I admit that the bill might affect mobility rights of some, or interfere with the Charter Rights of certain individuals. But the Charter does not guarantee absolute freedom to do whatever we want and whenever we want. In a democratic society, rights cannot be absolute; they must be qualified in order to protect the rights of others. That said, the federal government alone cannot do all the heavy lifting to ensure our security -- nor should we expect it to. It is a multi-pronged approach. Every able minded individual, community leader, including inter-faith organizations, will have to stand on guard for Canada. I think our inter-faith leaders -- every priest, rabbi, pundit, imam and granthi -- would do this country a great service if they enforce a message of peace and harmony against and speak to their captive audience against the symptoms of sadistic behaviour -- manipulation, the thrill of violence, power, and control that comes from inflicting pain on other. They will have to speak out against terrorism. Remember, every life matters, irrespective of its caste, creed, status or faith.